Malcolm X Day is an American holiday celebrated in honor of Malcolm X, an African-American human rights activist and Muslim minister. It is celebrated either on Malcolm’s birthday (May 19), or the third Sunday of May. Malcolm X (born Malcolm Little), also known as el-Hajj Malik el-Shabazz, is considered one of the most influential African American rights activists in the history of the United States. To his admirers he was a passionate advocate for the rights of African Americans, but his opponents criticized Malcolm X for promoting black supremacy and preaching racism and violence. Malcolm X was an important member of the Nation of Islam, an African American political and religious movement that has been described as being black supremacist and antisemitic. It was founded in 1930 and still exists. 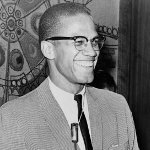 Malcolm X left the organization in 1964 and was assassinated by its members a year later, while he was preparing to address the Organization of Afriсan-American Unity at a gathering in New York City. Despite all controversies, his contribution to the fight for the rights of African Americans is undeniable. Malcolm X Day was first celebrated in Berkeley, California in 1979. Here, the holiday currently has a legal status. Malcolm X Day is also celebrated in a number of cities in Florida, Georgia, Illinois, Minnesota, Missouri, New York, Ohio, Oregon, Pennsylvania, Tennessee, Texas, Washington, Wisconsin, and the District of Columbia. Despite multiple proposals to make it official, it is not celebrated at the federal level.